Small nations have a unique role within the multilateral system, she said. Affirming the threat of climate change, she noted that now we must spend time on advocacy, “time that we do not have”. She affirmed the 2019 Secretary-General’s Climate Summit, which will provide an opportunity to put the Paris Agreement into motion. 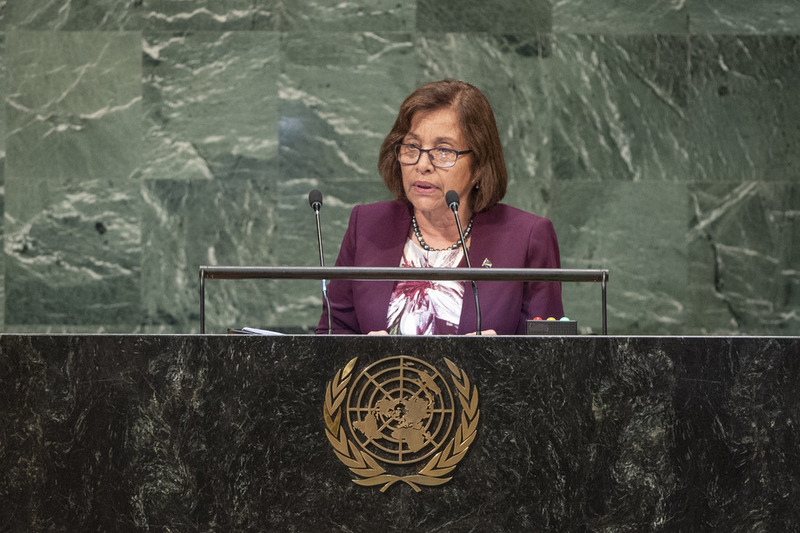 She announced the Marshall Islands is transitioning to net zero emissions by 2050. “In raising our ambition, I know we will not be alone,” she said, adding that climate change is the greatest security threat to our region. The political will must extend to atoll nations like the Marshall Islands, whose very survival is at risk.